Scientists agree that our species evolved in Africa about 200.000 years ago. But there is still much uncertainty about how humans populated the other continents. Professor Eske Willerslev and his colleagues at the Centre for Geo Genetics at the University of Copenhagen have published a range of studies providing pieces of the puzzle. In 2010 they succeeded in mapping the genome of an ancient human for the first time, analyzing a hair sample from a man who lived on western coast of Greenland about 4,000 years ago. The findings have shed new light on the settlement of North America by showing a hitherto unsuspected migration of people across the continent, from Siberia to Greenland, some 5,500 years ago. In addition, the Geo Genetics research group led by Willerslev has published the first genome of an aboriginal Australian (video above). Again a hair sample was used, collected from a living aboriginal in the 1920’s. The analysis reveals that aboriginals are the descendants of the first settlers that came to Australia some 70.000 years ago. Remains of two ancient skeletons found in the US have also been examined. The Anzick Child, a 12.700 years old skeleton of a baby, found in Montana, and the Kennewick Man, both have proved an ancient continuity between these earliest inhabitants of the New World and living Native Americans. 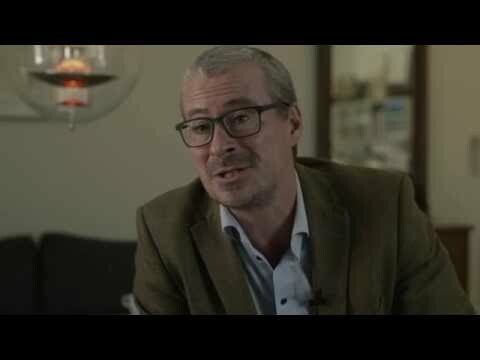 In recent studies, Eske Willerslev’s research group has used the Danish life-science-supercomputer Computerome, run by the Danish research & education network DeiC, to do DNA sequencing of teeth from humans of the Bronze Age showing that they suffered from plague infections 4.800 years ago, much earlier than scientists believed, and 3.300 years earlier than any written source indicates. The Danish research into ancient DNA not only reveals human history. It also sheds new light on the development of animals, as the genealogical trees of horses and birds are discovered. Also, the researchers have succeeded in analyzing whale shark genetics, just using a liter of water collected off the coast of Qatar, where hundreds of whale sharks come together to feed on eggs from the tuna fish that spawn in the area. The researchers have also worked on ancient sediment and ice core genetics. By analyzing small chunks of Siberian permafrost 4.000 years old they discovered a whole ice age ecosystem showing genetic traces of reindeer, bison and woolly mammoth. And analyzing a 5.310 years old maize cob from the Tehuacan Valley of Mexico they have unravelled pieces of the history of the domestication of the world’s most produced cereal.